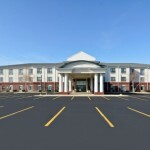 Holiday Inn Express Hotel & Suites: Fort Atkinson, WI | Cornerstone Hotel Management, Inc.
Fort Atkinson’s premier hotel, the Holiday Inn Express Hotel & Suites is a beautiful, 78-room property with features that are sure to make it the envy of other hotels. 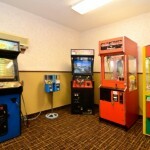 The Holiday Inn Express offers free expanded hot breakfast buffet, indoor pool and whirlpool, exercise facility, and a game room. 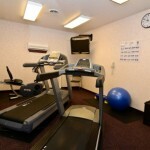 Features like these make the Holiday Inn Express Hotel & Suites the perfect destination for a family getaway. 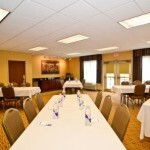 While ample meeting space, business center, and exceptional value provide the perfect setting for business travelers. Whether business or leisure, all of our guests have one thing in common, satisfaction. The superior quality and value of the Holiday Inn Express Hotel & Suites-Fort Atkinson not only keeps our clients happy, it also keeps them coming back.